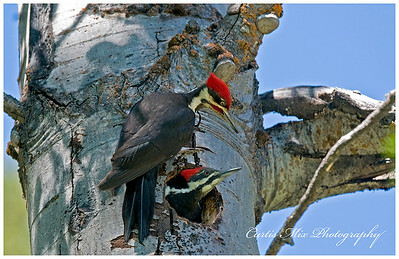 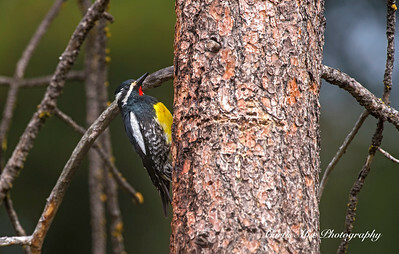 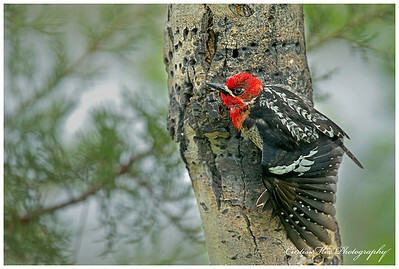 The male Pileated Woodpecker takes his turn on the nest in an Aspen tree. 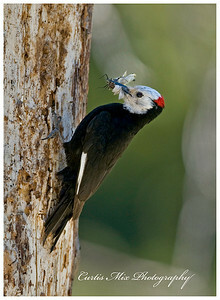 The female is just leaving. 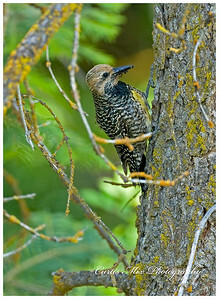 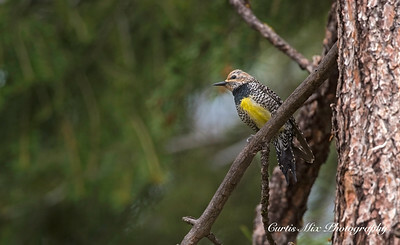 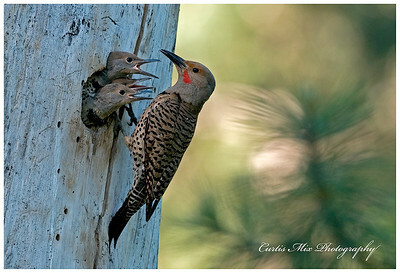 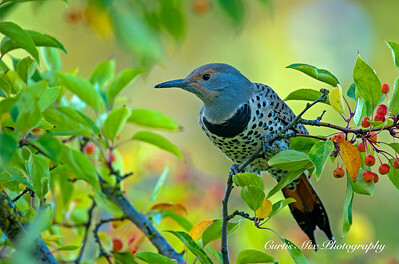 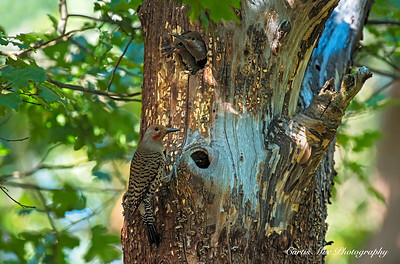 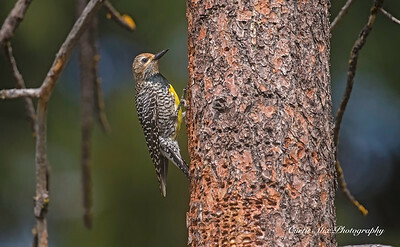 Male Gilded Flicker takes his turn feeding the young. 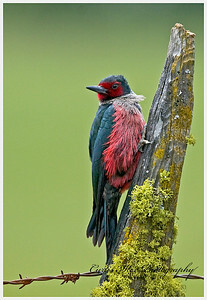 Lewis' Woodpecker on fence post spotting insects to eat. 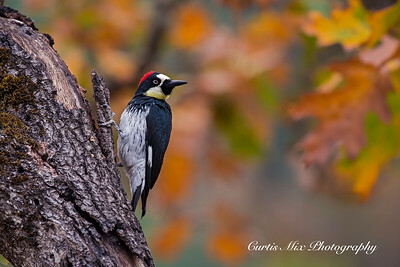 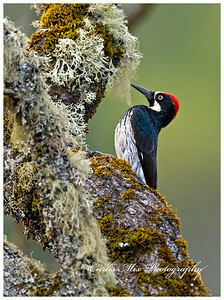 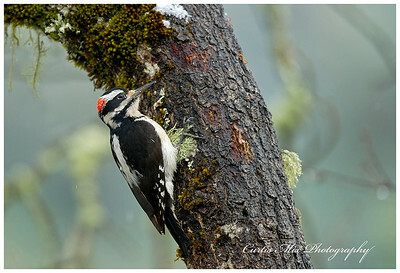 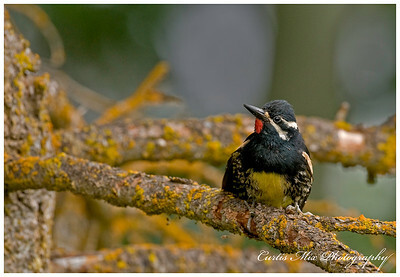 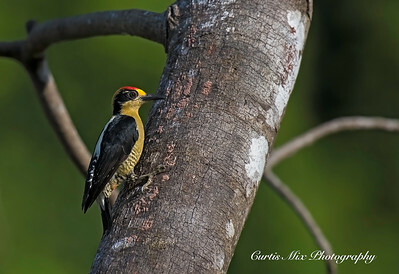 The male White-headed Woodpecker brings dragonflies. 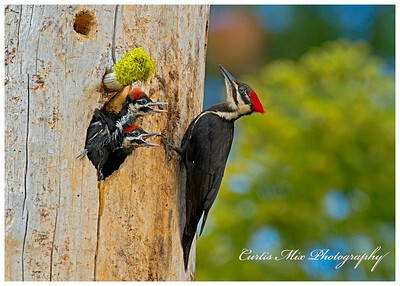 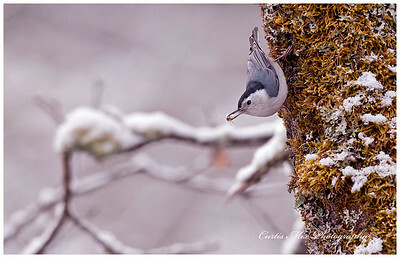 Time to stretch after being cooped up in the nest a while. 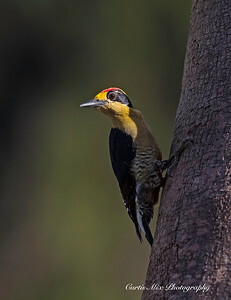 Looking back. 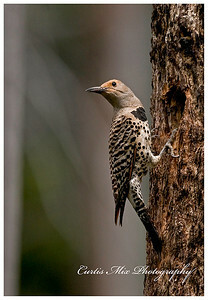 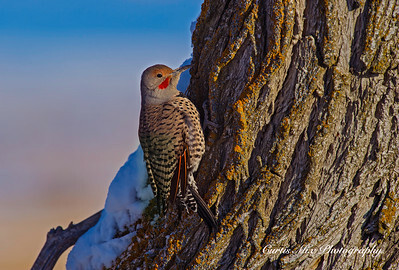 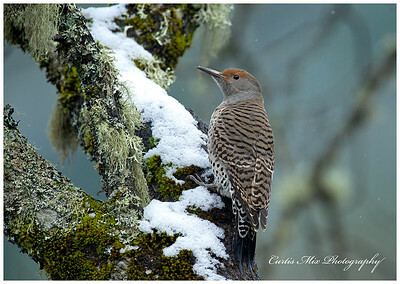 Female gilded Flicker. 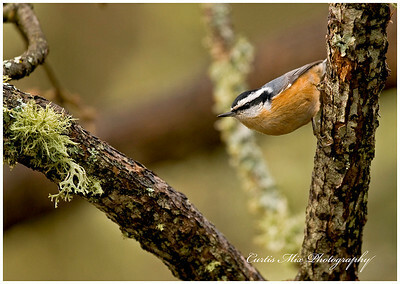 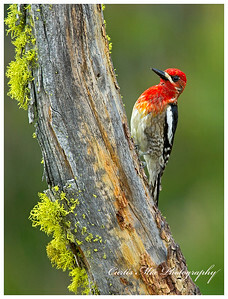 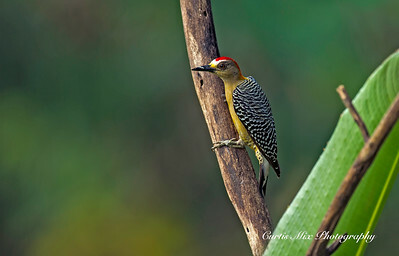 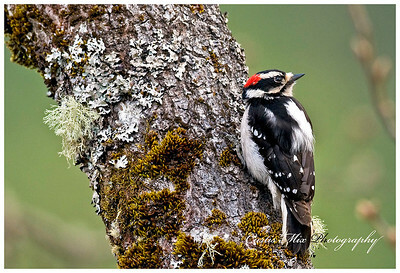 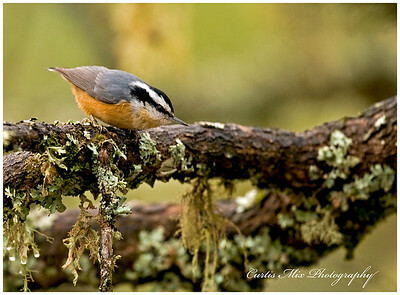 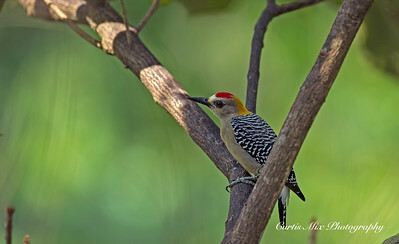 The front of the male Williamson's Sapsucker. 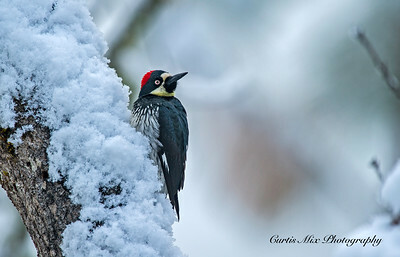 It took a lot of patience to get this pose.